ONLINE PARENTING COACH: Why Only $19.99 ? I thought your website was a scam when I read that you were only charging people 19 bucks for your ebook, plus audio, plus video, plus power points, plus access to you for coaching, plus a bunch of bonus parenting ebooks, and so on. I even called you to make sure you were for real ...remember? Well anyway, thank God this Online Parent Support is for real, and thank you for providing so much for so little. But I have to ask: Why do you only charge $19.99 for this ...I think you are under-estimating the value of what you offer. $19.99 is not a whole lot of money to most people in the U.S. But at least 50% of parents who join Online Parent Support live elsewhere (e.g., AU, CA, IE, NZ, UK, ZA, etc.) and would simply not be able to afford the ebook if it were over 20 bucks. 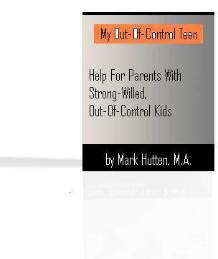 Too many cannot afford it at $19.99 (in which case, I turn the parent onto Online Parent Support MINI-REPORTS site -- and they can still email me for some advice. The upshot is that my eBook consistently stays in the top spot for 'parenting ebooks' on ClickBank (the secure website that takes payments via eChecks, credit cards, PayPal, etc. ).